Is it too early to start wondering whether or not Beau Biden will, or will not being running for the office of Governor in the 2016 election cycle? Some would say it is not yet the point of no return, that there is still time for Mr. Biden to make an official announcement. Of course that would require him to, you know? Make an official announcement. Something he hasn’t done in quite some time, at least not in person. Mr. Biden has not delivered official remarks in quite some time, and the Wilmington News Journal is reporting that he hasn’t sat down for an extended interview with any media in almost a year and a half. This all leads back to his medical emergency back in August of 2013, when on a family vacation he became disoriented. He later underwent an operation to remove a small brain lesion. Since that operation rumors have been going around about his deteriorating health. All the while it is reported that he will still be running in 2016, of course these are also just rumors and repeated talk. If this were just some unknown person who woke up one day and thought it would be fun to run for governor, and announced it by pulling of some silly stunts, and then just faded away, no one would care. 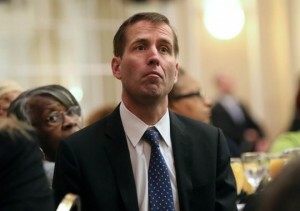 But that is not the case with Beau Biden, who has been the heir-apparent to his father’s political legacy here in Delaware. He has been groomed for public office, and his election to the office of the state Attorneys General was surely his stepping stone into either a Senate seat, or the Governor’s office. However in his final days as the AG he was nowhere to be seen, and if he were seen, he delivered no remarks. All that came out of that office were prepared statements. And even during the controversial Medical Examiner’s debacle Mr. Biden was silent. The Republicans have an announced candidate in Sen. Colin Bonini, who by the way has also had his eye on the governor’s seat for quite some time. Sen. Greg Lavelle, also a Republican is rumored to be considering a run as well. So while the republicans are lining up and announcing, the person who was seen as the Democrats best, and surest bet to hold the governor’s office for two more terms is silent and invisible. If Mr. Biden wishes to deal with any medical issues in private, then the quickest way to obtain that privacy is to make it clear that he will not be able to run in 2016. Or, if the rumors of his health or just that, rumors, than make a public appearance and put the rumors to rest. I say again, Beau Biden is not some rube who thought it would be a lark to run for office, his entire adult life has been in preparation for this. If he is unable to mount a vigorous campaign, or no campaign at all, then it would be prudent of him to allow his supporters to know as soon as possible, so as to be able to find another candidate. By not addressing this publicly, Mr. Biden and his advisors are simply allowing the rumors to grow. While there is still time for some to think and consider their chances at a run, I feel that the time has come for the heir-apparent to announce his intentions, and not through a surrogate, reading a prepared statement. 6 Comments on "Where’s Beau Biden?" From everything I’ve heard, and by his lack of public appearances, he isn’t likely to run. I’m thinking a Carney/ Gordon Primary will happen in ’16. If Biden is seriously ill, and I believe that he is, his health is his first priority. That would explain his reclusive behavior. He is still young, and has plenty of time for politics. And Rick I agree with you. However, does he have a responsibility to the voters to let them know that this won’t be the cycle? Or does he get a pass for playing politics? Will he wait till the last minute and throw support behind some second bencher? The Dr. Bradley/Biden association is too close anyone who chose to make it a campaign issue could dominate the election. How quickly Mr. Wheeler was swept under the rug, where’s Beau send his kids? ← Has The World Of Sussex Tech Turned Upside Down?